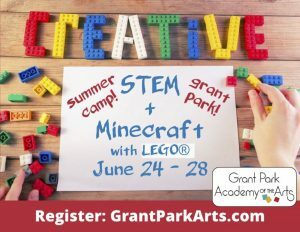 Prepare for a full-day LEGO® camp packed with hands-on and minds-on STEM fun! Build projects inspired by cool machines close to home, such as Trains, Helicopters, Treehouses, and Beam Bridges. Then build a Portal to the Nether, Creepers, and Minecarts from the Minecraft universe! Engineer and Craft innovative solutions in this new full-day themed engineering camp for LEGO® fanatics! Taught by Play-Well TEKnologies.